Services of the libraries to help students, faculty, and staff to make the most of their learning experience. Get It For Me: Your gateway to free books, articles, and many additional types of materials from Texas A&M Libraries and other libraries around the world. Items placed on reserve by instructors might include textbooks, articles, lecture notes, previous exams, films, and case studies. To facilitate research, OAL computers, printers, scanners, and copiers are available throughout the Libraries. Some locations are also equipped with specialized computer stations and wireless hubs that facilitate collaborative group work environments. The University Libraries provides a variety of instructional services designed to help students develop their research skills. Instructional sessions can be customized to meet a range of learning objectives, from library orientations to advanced research concepts. 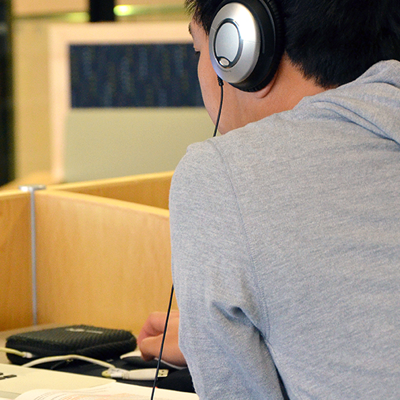 The Libraries offer specialized services to meet the needs of faculty, staff and students.